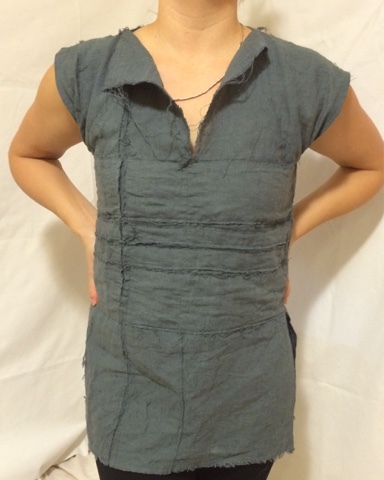 If this is the first time you are reading this blog, this is week 37 of a year long project to produce a garment once a week that has no waste fabric once completed. This is what I refer to as Zero-waste design. This week's design inspiration was to create a top to pair with the chenille pencil skirt I created last week. 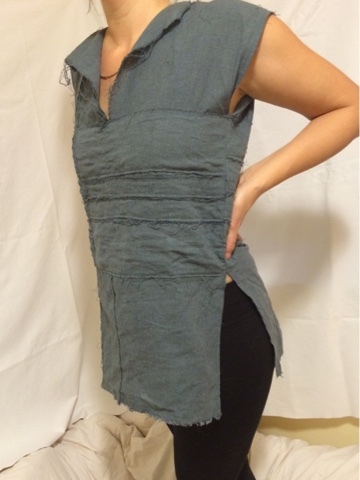 But given the length of this top, it also looks great over a pair of leggings. The same dye bath was used for both pieces, and I intend on continuing to use this in the weeks to come. Some of you may have noticed an article I shared earlier this week titled The most eco-friendly clothes are the ones already in your closet. This echos many of my personal dilemmas. I am torn between my desire to live more sustainably while expressing myself creatively, designing and manufacturing clothing. It is difficult to know how to accomplish both. The article references owners and consumers, where products are invested in, over the long term and repaired, rather than replaced. "But this is far from a trend. While some companies, like Ricoh, DeWalt, Caterpillar, and Lenovo have made repair and remanufacturing a staple of their business model, most companies still make cheap stuff that breaks and must be replaced quickly. Customers conditioned to seeking out the best price buy into this model and keep the cycle going. And too often, products come without repair instructions—and in extreme cases companies actively thwart repairs by inventing new kinds of proprietary screws and other nonsense. This should be considered unacceptable given the environmental crisis we face—but instead, planned obsolescence is celebrated as smart marketing." This model, of investment and repair, is familiar to me with my experience in the outdoor clothing industry. But how, I wonder, or can it be applied to our everyday fashions? I also wonder what the opposite of planned obsolescence is? As Patagonia and other companies have done, they have provided their consumers/owners with repair instructions. Could we expand on this idea of design with repair and mending in mind and take it one step further, to design clothes where mending is integral to the design? 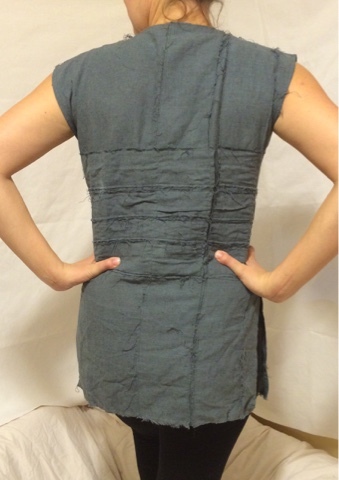 Could clothing embody the concept of wabi sabi and become more beautiful the more it is worn and repaired? It is difficult to envision what these clothes look like, but I like the creative challenge it presents. 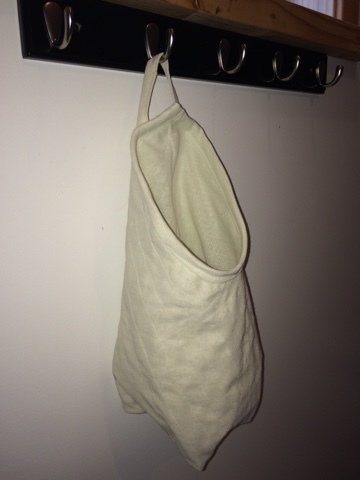 Hemp fabric also applies itself well to this idea as it is very durable and gets softer with use and wear.